This will be arriving tomorrow for me, can't wait to play! Sounds like it's one of the best Yoshi games yet from what I've heard. I think I'll wait a little longer after the release before buying it. I mean, I don't have much pocket money right now and I still haven't beaten Shovel Knight. im def picking it up when i can. no mony right now though so it may take a while. I have it in my possession. Time to go into overdrive and finish school. I'll see you all at the end of this. Just finished downloading. Gonna try and get all them flowers. I'd honestly rather buy the physical version, considering apparently, digital games require a lot more storage. Cannot WAIT to play, been waiting patiently since E3 2017. Got no money at the moment but I should have it in a few weeks. I have the game. It's really dang good. Spoilers and a (relatively) thorough overview below. Bosses are on the quick and easy side; I haven't completed it yet though, so I don't k ow about the last couple bosses. My favorite so far is definitely the Gator Train. One of my early worries was that it would be really short, like Yoshi's Story. I am glad to say that that is not the case, and that it's actually really long. I've been playing since yesterday, and I've only gotten half the Dream Gems. So far the most annoying level is Haunted Maker Mansion, at least in my playthrough. The costumes are delights, and I appreciate that some of the cutest costumes give the least defense increase, you really have to decide to look cute or be buff. Baby Bowser and Kamek are the stars, imo. Their dialogue is great, and it definitely seems like as the games go on, Bowser keeps growing more and more (I haven't played New Island or Woolly World though, so I don't know if he lost the baby talk in those or not). Yoshi can actually talk to the two, and there have been a couple times where you can either agree or disagree with Baby Bowser (I.e., saying if he should have a cool train or not). 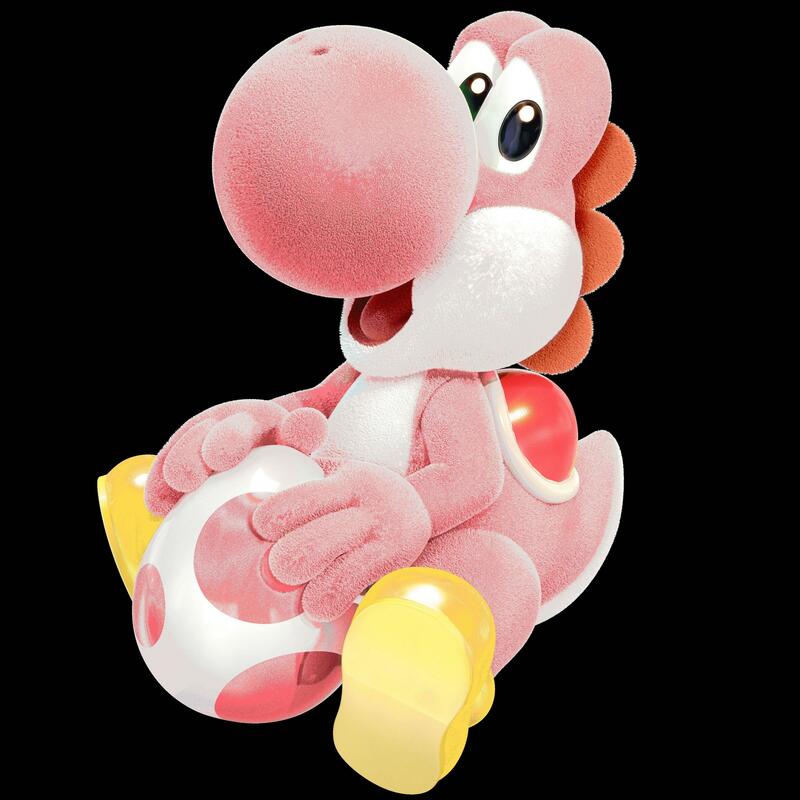 I'm a touch sad that you can't have the underutilized Yoshi colors (black, white, and brown), at least as far as I know. That's about it though, as changing Yoshi colors is easy to do on the fly. Collectables are relatively easy to 100% the first time through, if you're looking out for them. I haven't been doing flip-sides of levels yet, but I'd say that if you found the level easy then you'd be able to do the flipped side just as easily. Overall, I'd say this probably the most fun I've ever had with a 2D platformer! 10/10 from me.